I used to really dislike eggs. In fact, I disliked most breakfast foods with the exception of pancakes, waffles and cereal. A lot has changed since then, and now I’m a huge fan of breakfast food — eggs included. The masses seem to go back and fourth on whether or not eggs are good for you, but I think the nutritional information speaks for itself. One large egg has 70 calories, 5 grams of fat and 6 grams of protein. Sure, they’re high in cholesterol (70% daily value), but as long as you are active and live a healthy lifestyle, I’m not sure there’s much to worry about there. Plus, there aren’t many foods more versatile than the egg. 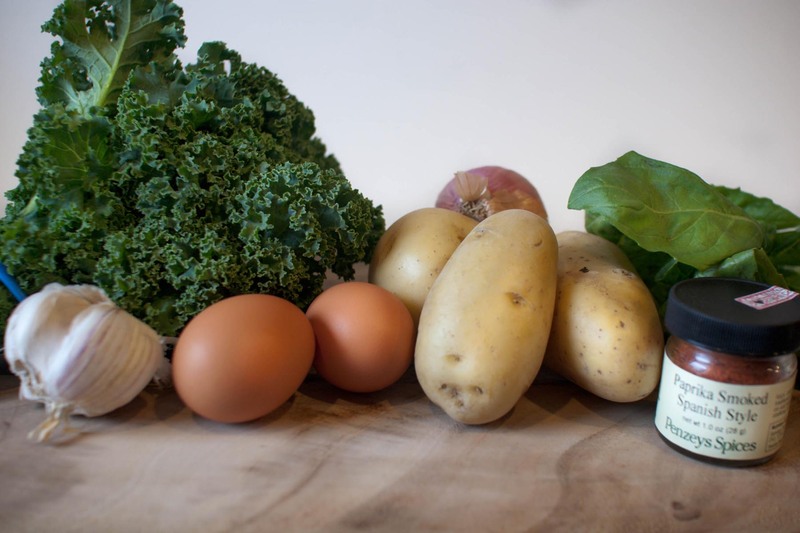 I loved the idea of a potato and kale frittata because it’s a well-rounded, meatless dish that’s easy to prepare. I actually made it for dinner, but it’d be perfect for breakfast or lunch, too. In a medium oven-safe skillet, heat 1 tablespoon of olive oil over medium heat. Add the shallots and cook, stirring, 5 minutes. Add kale and garlic; stir 5 minutes. Add potatoes and stir to combine. Whisk eggs, egg whites, 2 tablespoons of water and paprika in a small bowl, and add to the skillet. If you find that you need more eggs at this point, whisk up more and add them. Season the mixture with salt and pepper, and let the eggs cook (don’t stir them) over medium-low heat for one 1 minute. Transfer skillet to oven; bake until eggs are set, about 8 minutes. Switch on the broiler and let the eggs brown for an additional minute. Remove from oven and let cool for a minute or two. Meanwhile, make the basil oil by blending basil leaves and olive oil in a blender until well pureed. If desired, strain mixture through a cheesecloth or coffee filter into an air-tight container. Note: Can be kept for about 10 days. 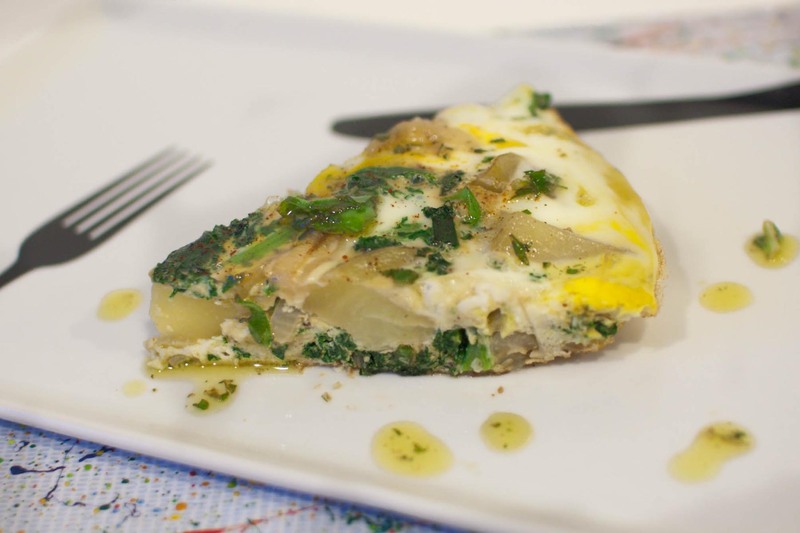 Slice the frittata into 4 pieces and drizzle each with a bit of the basil oil. Top with an extra dusting of paprika, if desired. I’m definitely not an eggs for breakfast type of person, in fact the only way I will eat eggs is in a frittata. I think it’s all the add-ins that make it less eggy to me. Looks so light and fresh! I’m going to make this soon!! Thanks. This looks great. 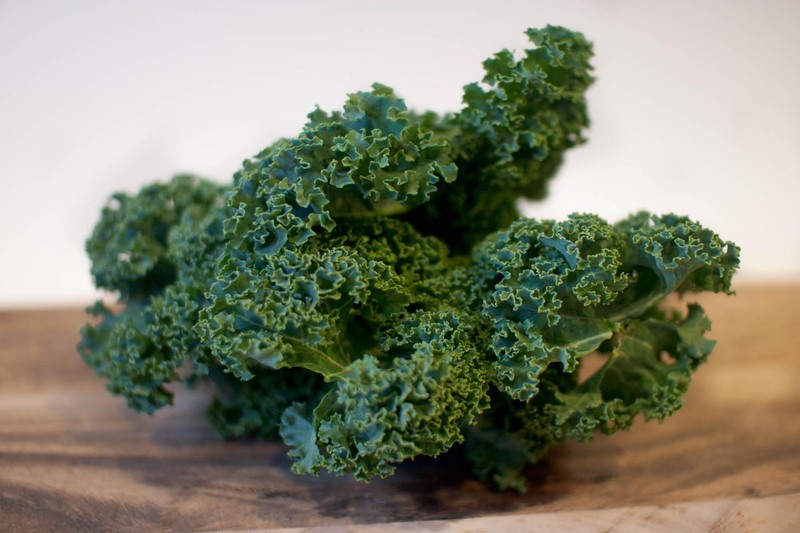 And it just so happens I have a fresh bunch of kale and potatoes I got in my Farmer’s Market bag this week. A fritata sounds like the plan! 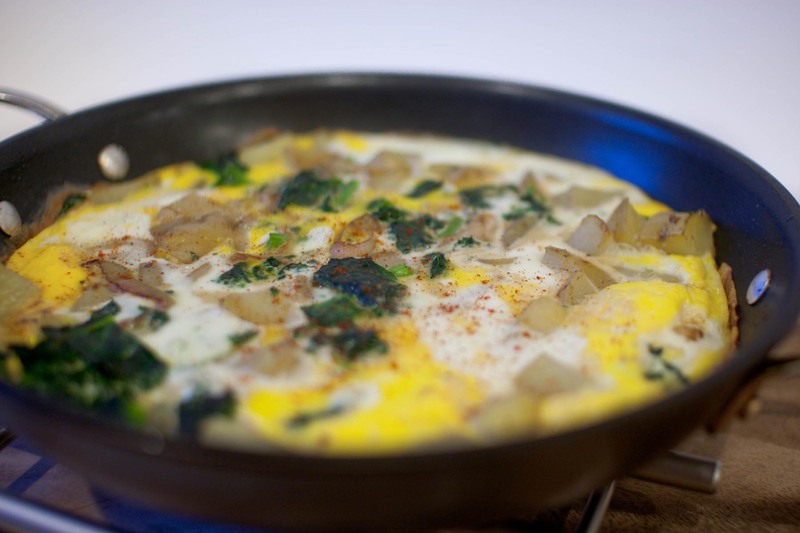 Fritattas make such a great breakfast…lunch…dinner. This one looks especially nice! This looks GREAT!!! Can’t wait to try it!